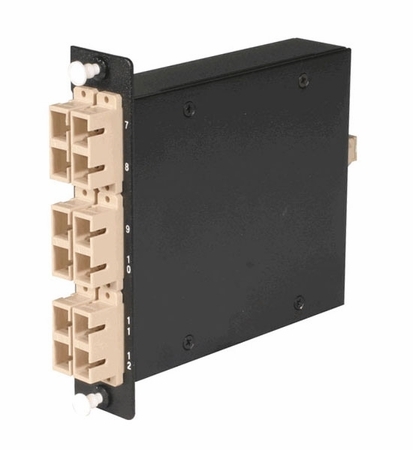 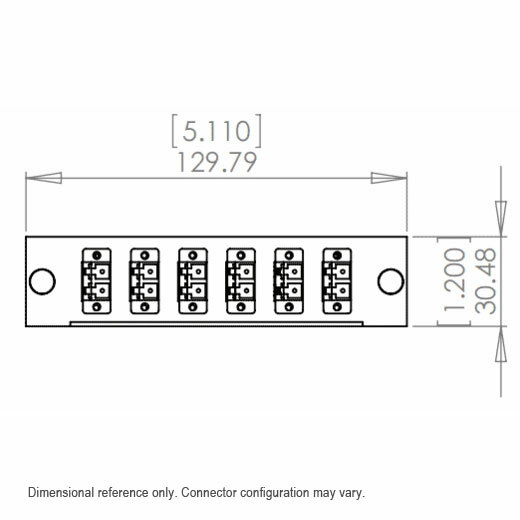 The LightWave 12-Fiber OM2 MTP to 6 Duplex SC Fiber Cassette is a compact, yet powerful tool as a fiber optic network cable management product that aids in the use of game-changing MTP fiber technology to help your telecommunications office and data center running smoothly with more space efficiency. 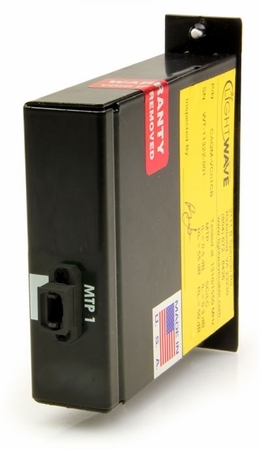 This cassette has one port in the back with a MTP brand coupler awaiting connection of an MTP brand connector cable assembly that houses 12 fibers in the connector. The MTP/MPO cable plugs into the back and through the adapter. The cable connects to another MTP/MPO assembly inside the cassette that "fans out" to 6 duplex-configured SC connections. 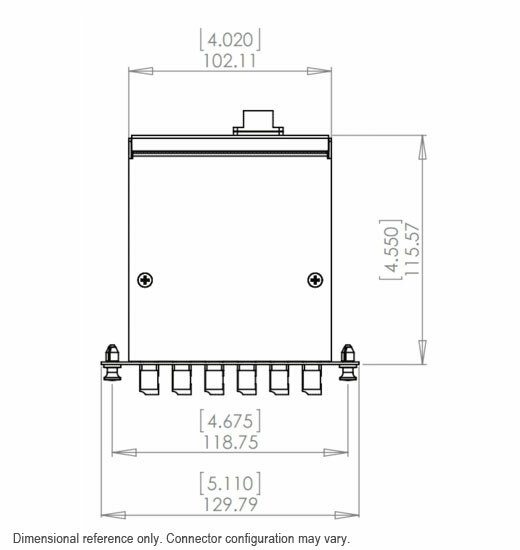 The design of this MTP cassette helps you utilize the high density capabilities of MTP brand connectors, while alleviating the stress of space constraints once suffered with the use of older connector styles. Assembled in-house at our Richmond, VA facility.